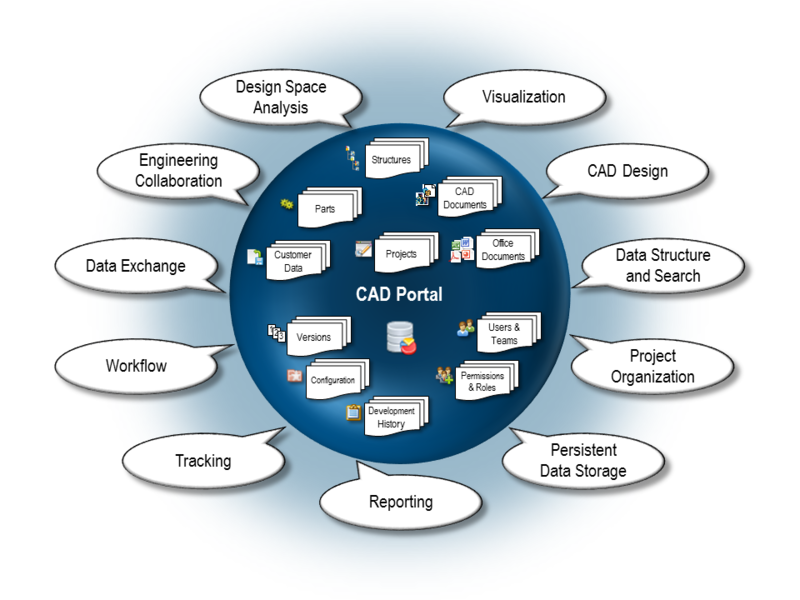 CAD Portal optimizes the management of CAD structures and associated product structures and metadata. It manages all the information relevant for the project collaboration, product data, documents, agreements and directives. 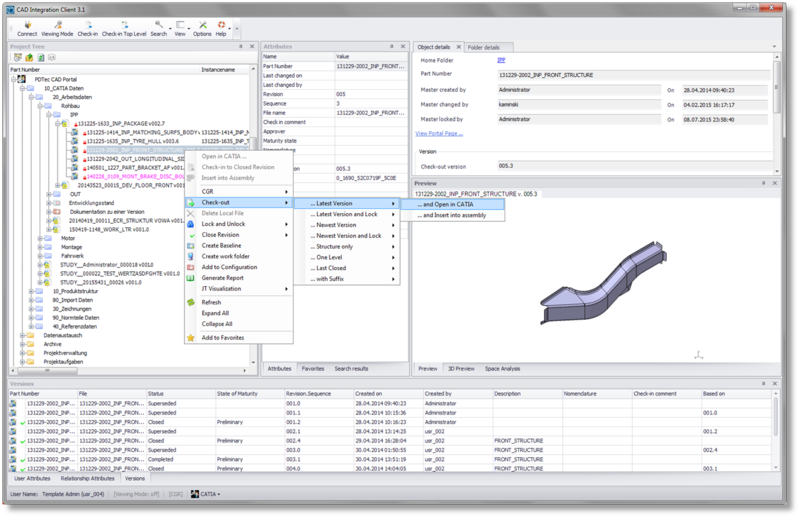 Geometry data is accessed via the CAD Integration Client, which serves as an interface between the portal database and the CAD system, such as CATIA V5. The client acts as the designer’s user environment, prevents redundancies and ensures data is up-to-date. 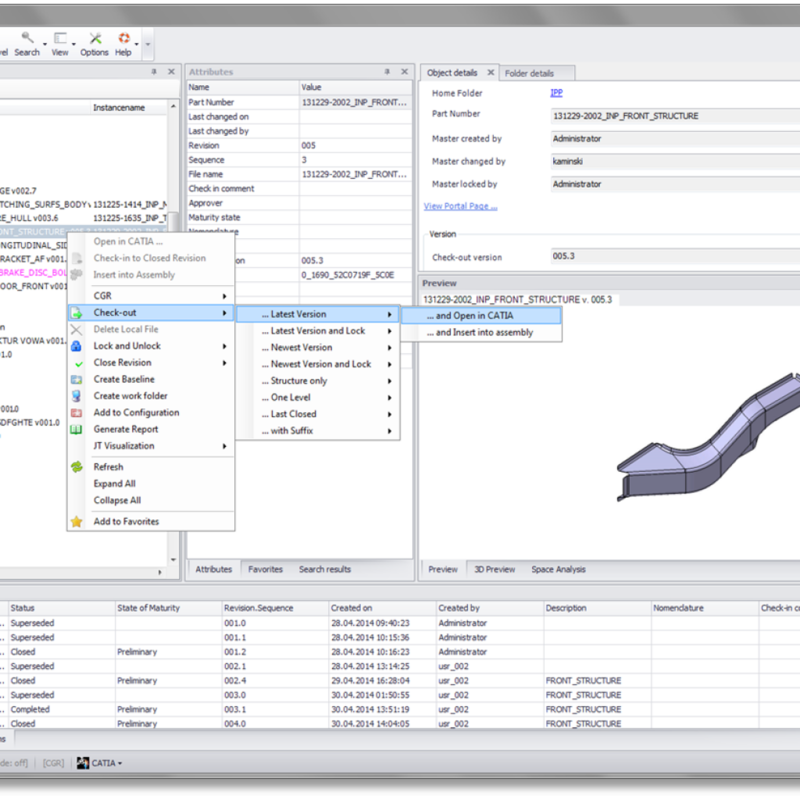 CAD users can access all the information they need in the client. 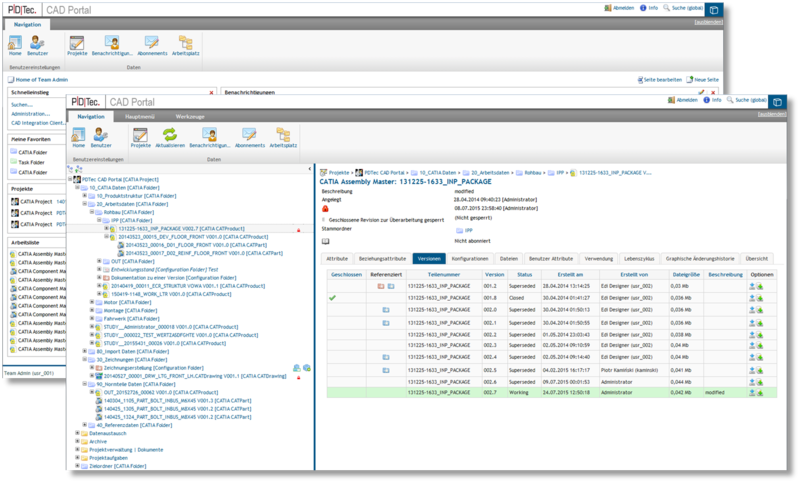 The cross-company development of complex products with multiple variants represents a special challenge in terms of organizing processes, managing internal data on customer-specific assemblies and constantly synchronizing data with customers, partners and suppliers. Project-based development requires a particularly high degree of flexibility and adaptability. Constantly changing project teams are expected to start work quickly and deliver consistently high quality. However, it is frequently difficult or expensive to implement project or customer-specific changes with conventional, often rigid PDM solutions. In these projects, designers tend to manage their data in the file system instead of the PDM application. 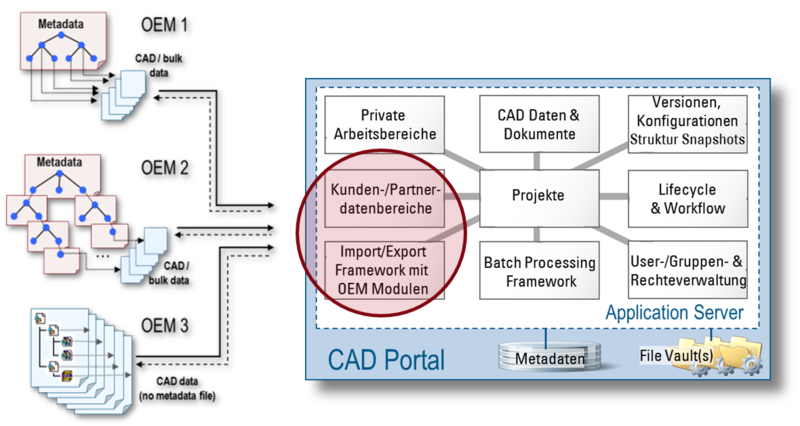 PDM structures sent and possibly configured by the partner are converted into standardized CAD structures for internal processing. 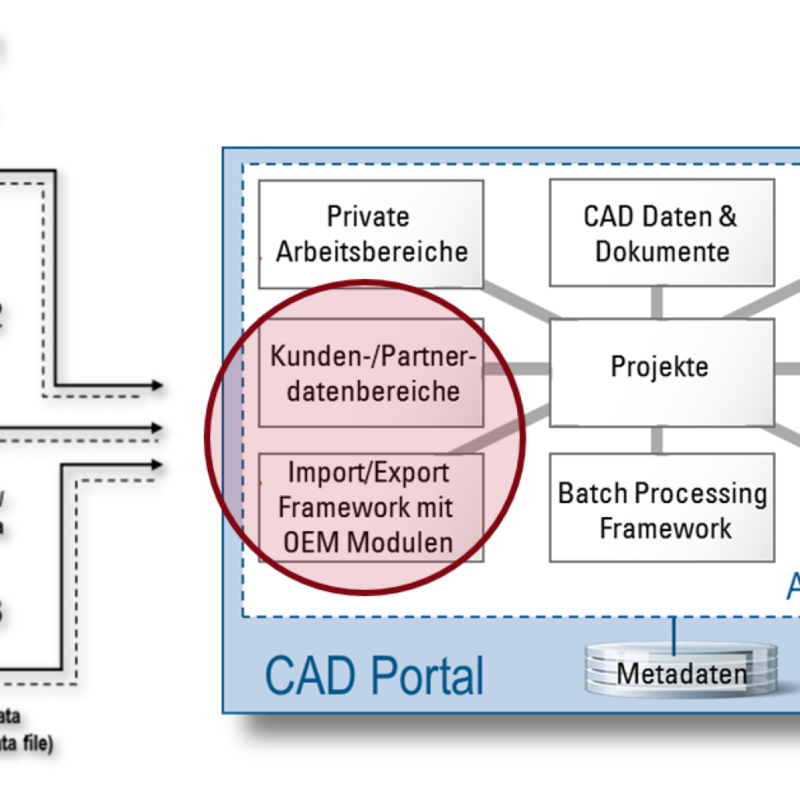 Since this process preserves the link between the two structures – and between the corresponding versions and configurations – it is possible to trace the current CAD data back to the partner’s original data at any time. 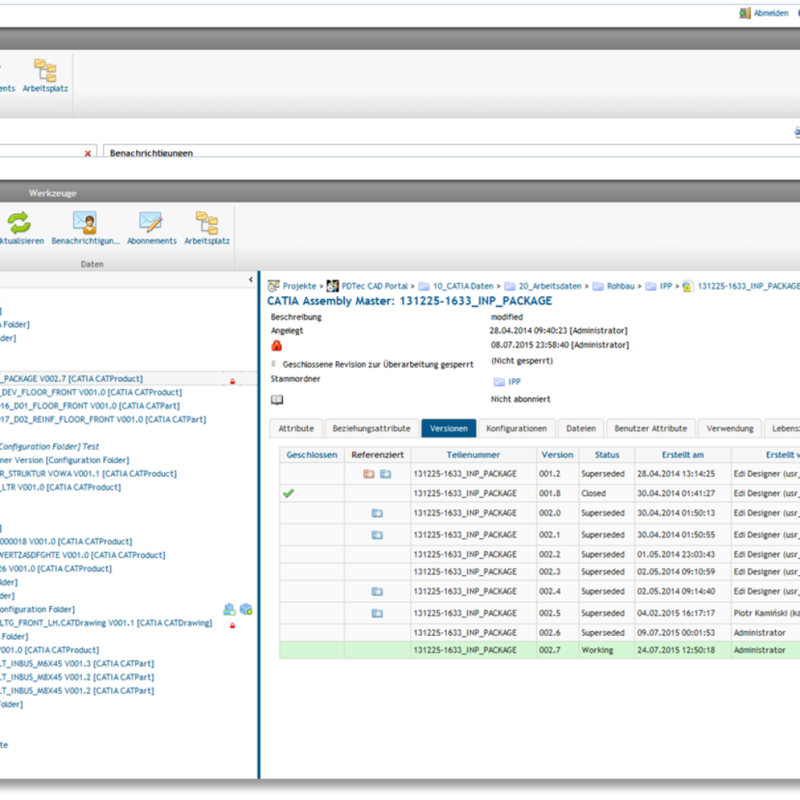 The client’s key features include permission management, version control, where-used list and access to metadata. The CAD client also helps CAD users synchronize local data with the portal’s current content. Thanks to a locking mechanism, users cannot inadvertently overwrite other people’s data. 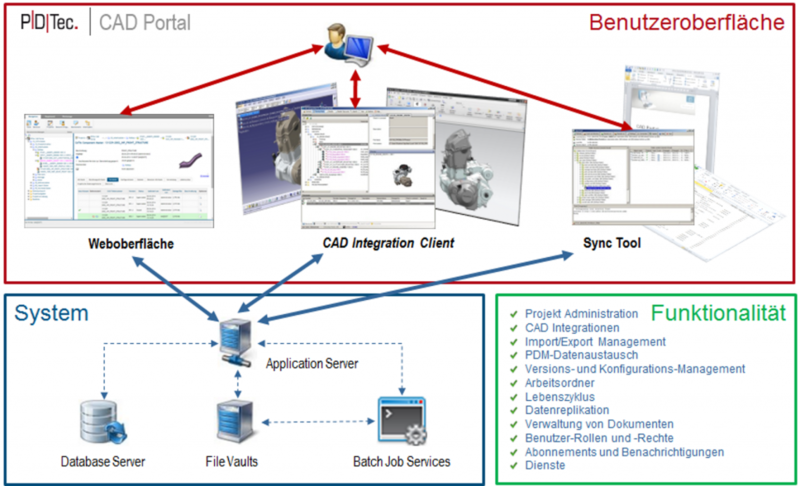 Changes are made in the CAD client and synchronized with the portal on check-in. 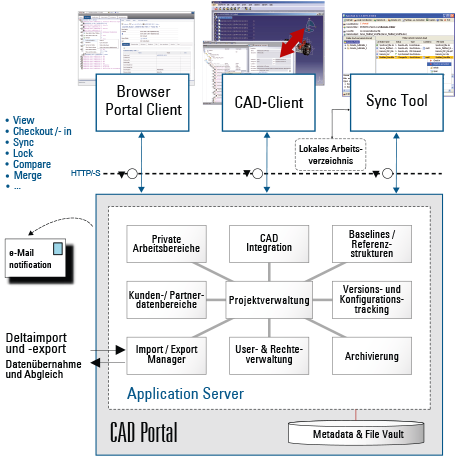 When CAD users check in data, they see a transparent overview of the local changes and their impact on the structure in the portal.